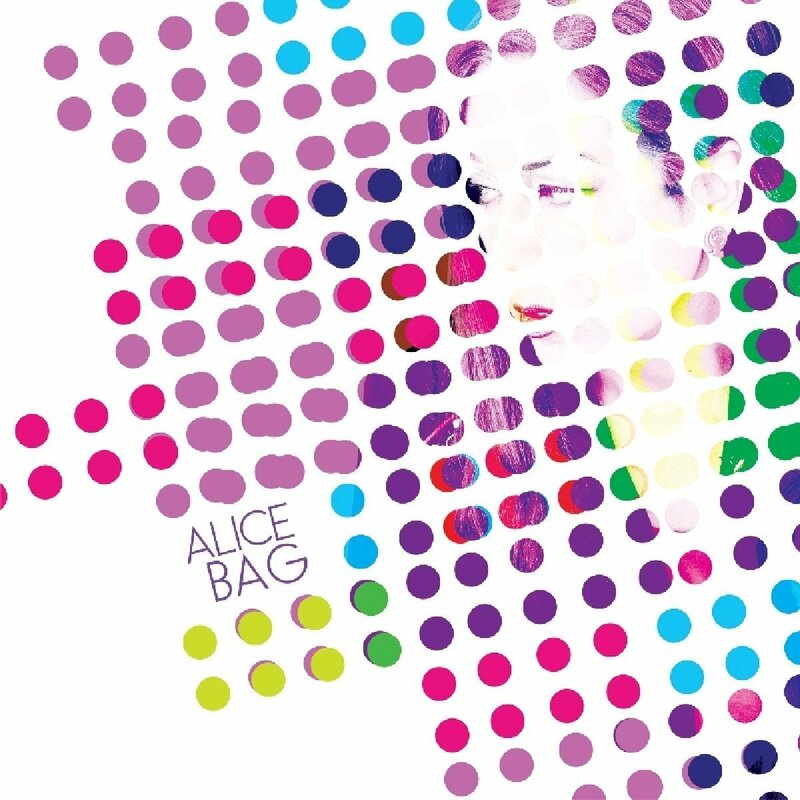 Discussions Magazine Music Blog: ALICE BAG: An EXCLUSIVE interview! ALICE BAG: An EXCLUSIVE interview! Although she is forever associated with the late ‘70s Los Angeles Punk scene, Alice Bag’s journey over the last forty years has taken her everywhere from East L.A. to Nicaragua and back again. To some, she remains the lead vocalist of The Bags, but there is far more to Alice Bag than a rare Punk single and an appearance in the documentary The Decline Of Western Civilization (as The Alice Bag Band). Her status as a legendary Punk pioneer led to a career as a highly respected educator, feminist activist, and author. Her critically acclaimed books Violence Girl (2011) and Pipe Bomb For The Soul (2015) have been warmly embraced by her longtime fans and those who were previously unfamiliar with her musical career. She has inspired generations of young girls and women with her outspoken and thoughtful views on feminism. While largely absent from the music scene over the years, Alice has taken the Punk esthetic and made a real difference in the lives of those she has inspired. She may not have sold millions of records over the years, but she has remained true to her cause, and in turn, made an impact that is still being felt. Surprisingly, nearly forty years after she started her musical career, Alice Bag is finally releasing her very first full-length album. Anyone expecting Alice to dip back into the past and relive her glory days with The Bags will be sorely disappointed. Instead, Alice incorporates many of her musical influences into a cohesive collection of songs that range from edgy Garage/Punk nuggets to instantly hummable ‘60s pop gems. The raw, straightforward production adds a tense atmosphere to the recordings, allowing Alice’s emotions to run free. There is some darkness in her lyrics although they are far from hopeless – she allows the listener to fill in some of the blanks and react accordingly. However, the album is filled with wonderful melodies and inventive arrangements. At its core it is Punk, but only in spirit. Musically, it is a potpourri of influences reaching back to the ‘60s. Like any good album, Punk or not, it turns expectations into revelations. The album Alice Bag is a superb look at the modern world by someone who has seen it all. It is intelligent without being preachy and raw without losing its playful charm – a simple, heartfelt triumph that sounds better with each spin. STEPHEN SPAZ SCHNEE: How are you feeling about your journey to make this album and the reaction you’ve had to it so far? ALICE BAG: I’ve had it under wraps so nobody has heard it except the people that played on it – they were excited about it. No one else has heard it! I’m nervous and excited to see how people react. I’m happy with it and for me, that’s it. You never know what a critic is going to say but I’m happy with it and the people that played on it are satisfied and that is as much as I want. I want to feel proud of what I’ve done… and I do. SPAZ: This album has been a long time coming. Are these songs that you built up over time or did you actively start writing them for this particular project? ALICE: I didn’t start writing for this particular record but most of the songs are newer. I was living in Arizona for a while so I didn’t have my usual posse of musicians that I had grown up with. In Los Angeles, if I wanted to do something, I’d just call somebody I knew and say, “Let’s form a band” or “Let’s work on a song.” In Arizona, I was living on the outskirts of Phoenix. In order to find people to play with, it was a little more challenging. I spent a lot of time writing on my own – I bought this five- dollar Garage Band app and started writing. I think for me, being isolated and having this app and having my instruments and a lot of solitude was really productive. SPAZ: You’ve been making music for forty years, yet this is the first full-length album you’ve ever released. Is it a liberating experience to finally be able to express yourself over the course of a full album project? ALICE: It was really difficult. I have a binder at home with maybe forty or fifty songs that I’ve written over the years. And they are all over the place, musically. I’m not just a Punk lover – I love so many different types of music. When I write, those different influences come out in my writing. Trying to narrow it down to an album that is eclectic but also cohesive was really difficult. That was the hard thing – to show who I am and to not appear to be all over the place, and to have some range at the same time. SPAZ: People are going to be surprised by the sheer diversity of the album. Did you have a clear idea on what you wanted the album to sound like or did it organically grow into what it became? ALICE: It was organic. When I was selecting the songs, I wanted to show different sides of me. When I was selecting musicians, I didn’t just pick one band to play on all the tracks – I thought of each musician’s strength and style and tried to serve the song. SPAZ: This album is chock full of great melodies and hooks. Lyrics are important but the right song can convey a feeling more than the words can. ALICE: When you’re a melody person, you realize that words can only get you so far. Sometimes, the beauty of art ­– and music – is that you can express things that are outside of the verbal realm. You can connect with people through the art itself. Through the sound. SPAZ: With that being said, you deal with many issues on this album. When you write a song like “He’s So Sorry,” the ‘victim’ may see themselves in those lyrics, but do you feel that the perp will recognize themselves in those lyrics? ALICE: I think there are people that are always going to hide behind what has happened to them and make excuses for the way they are, and there are people who are going to recognize that they need to own their lives and steer them in the direction they want them to go. The aggressor may see him or herself as being in a position of power but aggression does not equal power. Control is power, calm deliberate action is power. I think that is a more complex situation. Each case of abuse is different. “He’s So Sorry” was inspired by two things. One, I was having a conversation with a friend and she was in an abusive situation and she didn’t recognize it for what it was. We had several conversations and she eventually started to figure it out. The other inspiration was Phil Spector. I thought of how my generation grew up listening to the girl group sound and we loved it, but a lot of the messages were like ‘he hit me and it felt like a kiss’ and ‘I’m going to follow him wherever he goes’. It was very subservient. And then there was the history of how he treated Ronnie Spector. Phil Spector himself ended up killing a woman! With all of that, I wanted to have a chance to take the music I loved so much and re-work the content so that you can appreciate the music, and also take away the message that the things that have been said in the past were not OK.
SPAZ: As a lyricist and author, do you sometimes have to make a compromise with your lyrics in order to make them fit the music you’ve written? Or does the music influence which set of lyrics you decide to use? ALICE: I work in such a weird way. When I’m writing lyrics, I write a whole bunch of stuff and I end up throwing it into a pot and seeing how it works. It really happens simultaneously for me. I have my list of lyrics and I’ll pull out my guitar or keyboard and start singing different things and see how they work together. I could never write all the music first or all the lyrics first. I can brainstorm pieces of each thing and then start combining them. That’s how I write. SPAZ: Has the experience of making this album encouraged you to start putting another project together, or is that a decision you’ll make somewhere down the line? ALICE: I definitely want to start writing again but I want to take the time to enjoy this album, enjoy its release. I really do want to play a few shows and spread the word – let people know it’s out. It’s been a really long time since I went out and played with a band. I don’t know if people will remember me or that they’ll be interested. ALICE: It’s funny because I didn’t really want to be in the movie but it’s turned out to help me! SPAZ: The album’s mixture of styles and the simple, almost raw production makes the album sound timeless in many ways. Was that your intention when deciding how you wanted it to sound? ALICE: I wasn’t thinking in terms of when people would think it was recorded. I know I have a particular style and I wondered if young people would be able to relate to it. I hope people are open-minded and give it a listen. SPAZ: What do you want the listener to walk away with after listening to the album? ANNDY HOSIER (Guest Question): What is your take on women in music today and how is it better or worse than when you started out, especially in a genre dominated by men? ALICE: Well, I think it’s a lot better. I do a lot of readings and I’m often invited to read in situations where there are young bands playing. Most bands have at least one woman in them, if not more. I see a lot of female musicians. It seems to have come full circle. When the early L.A. Punk scene started, there were a lot of girls, but then for a while it became very male-dominated and you didn’t see the women anymore apart from being shoved off to the side while all the guys were banging into each other in the pit. Then, there was the Riot Grrrl movement. Now, it seems like people can respect each other again and still go crazy but not deliberately exclude anyone. These may just be shows that I’m invited to attend – maybe these people are more open-minded. I’m sure that somewhere, there are those shows that women are pushed to the back. I just see a lot more women playing. The fact that there are Girl Rock camps is very encouraging. It is so rewarding to see little girls pick up instruments and just say, “I’m going to be a musician when I grow up!” and to know that they have a support system. We didn’t have that when I was growing up. Most of the girls that were being written about when I was growing up were the groupies – they were getting the publicity! SPAZ: I like the fact that when an all-female band comes on the scene, it is no longer a novelty like it was in the past. It is now the norm. ALICE: Yes! That is so exciting. It’s wonderful. SPAZ: When The Go-Go’s released their first album, a lot of people assumed that they must have had some kind of male Svengali behind the scenes writing all their material. SPAZ: What’s next for Alice Bag? ALICE: I want to support the record. I want to continue to write music. I want to continue to paint. The possibilities are endless!